Snow conditions vary throughout the winter season. Before your visit, be sure to check the AvalancheXpress website to ensure the hills are open. 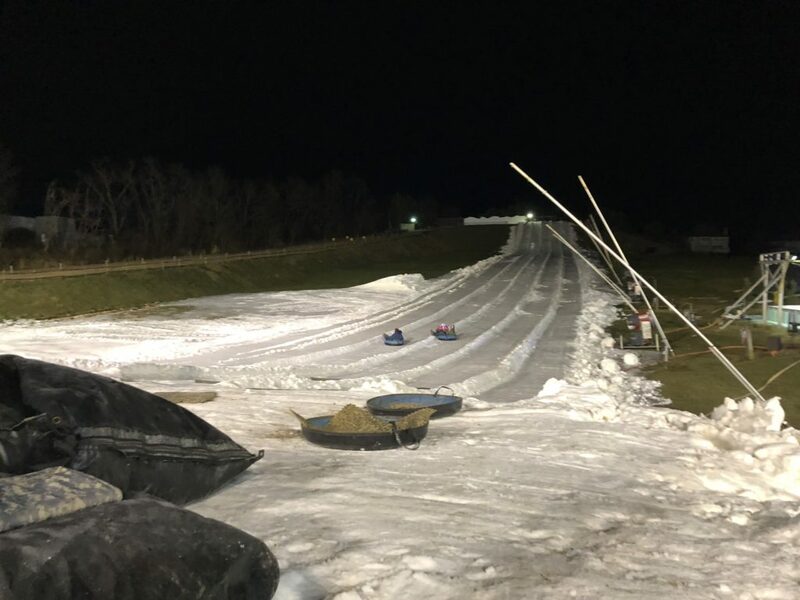 AvalancheXpress is a snow tubing destination in south central Pennsylvania. It is conveniently located close to Interstate 83, and also not far from Route 30. This makes it easily accessible for Baltimore, Lancaster, Harrisburg, and Gettysburg. AvalancheXpress is part of the Heritage Hills Resort, which includes a pub, and restaurant. 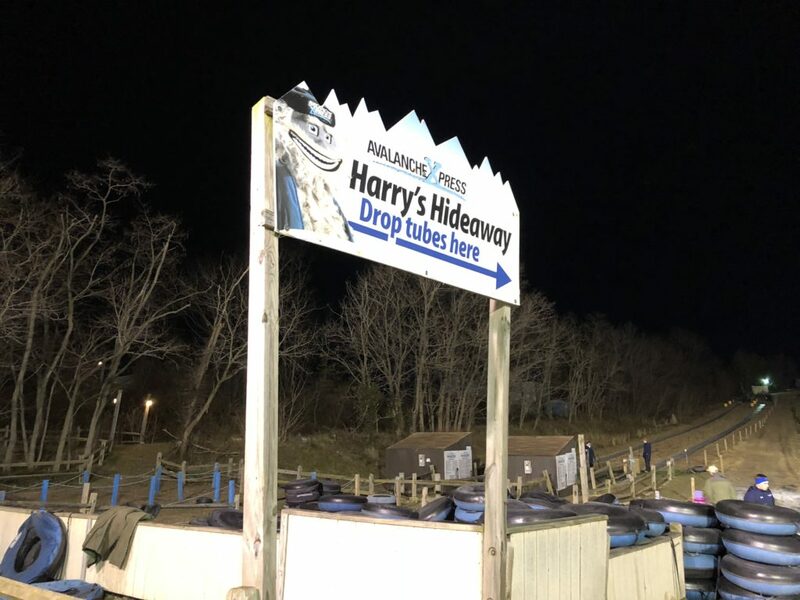 Packages are available that include overnight accommodations at Heritage Hills resort and snow tubing passes. 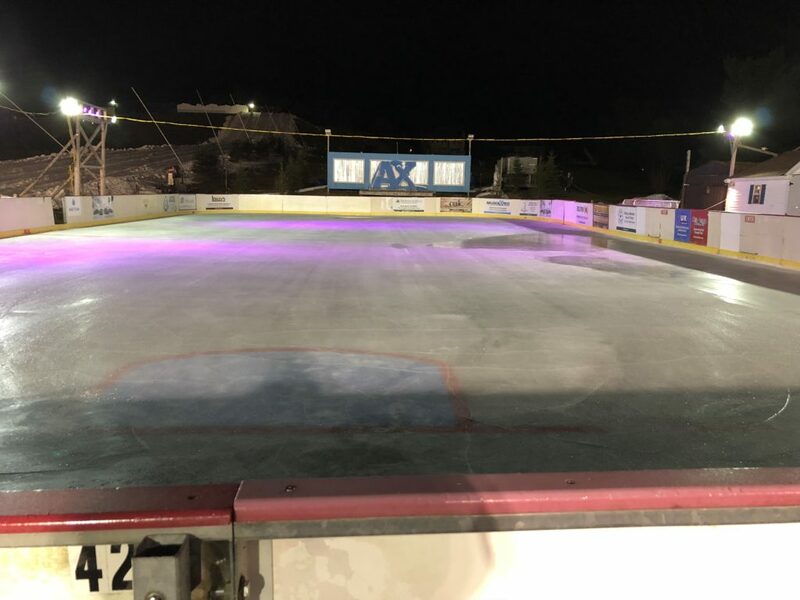 In addition to snow tubing, there’s also ice skating available in an outdoor rink, located right beside the snow tubing hill. To access snow tubing, grab a tube at the bottom of the hill, and go to the tow rope for an easy ride up to the top. You’ll sit down in the tube as a AvalancheXpress staff member attaches your tube to the rope. There are two ropes, to help the line move faster on busy winter days. Each snow tube is a single-seater, but you can create trains to share the fun with your friends as you slide down the hill. Trains of up to three people were headed down the hill when we visited. The staff at the top of the hill will help you get into position. Keep in mind that the weight of the train will increase your speed! After snow tubing, warm up by the fire pits and picnic tables available at the bottom of the hill. 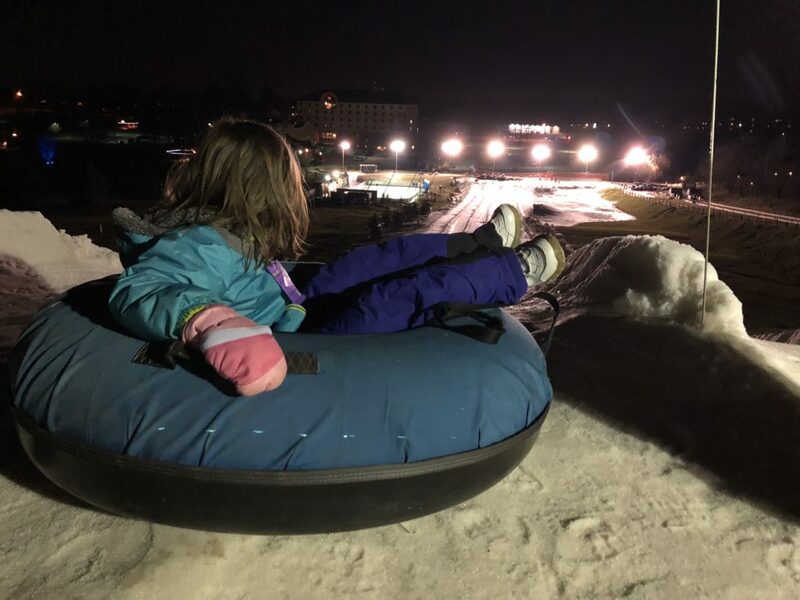 Season passes are available for AvalancheXpress snow tubing. There’s also group rates and birthday party packages. Be sure to check their website when making plans to ensure that the hills are open.